J&J Flooring and Baths established in Boston since 2004 specialized in ceramic and natural stone installation (floor and wall). Our team of installers are trained and paid to carefully perform the work with quality inside out the properties of our customers. We provide 100% satisfaction to our customers with the quality and cost of the services we provide. 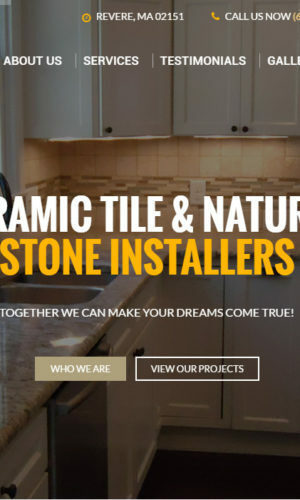 We have won Angie’s List award for one of the best ceramic installation companies in the Greater Boston Area for the years of 2007, 2008, 2010, 2011, 2012, 2013, 2014 and 2015. Our main goal is to serve and give our best to our customers. We believe that together we can make your dreams come true for a very accessible and competitive price in the current market. We have hundreds of photographs and excellent references from our customers upon request. We can also assist in the installation design without an extra charge. Our goal is to work with excellence, to serve you forever.